If you're even remotely into electronic music, then you are more than likely to know who Aphex Twin is. After becoming a key pioneer in the genre during the 90s, Aphex Twin went quiet for over a decade following the release of 2001's 'Drukqs', releasing next to nothing and playing only a handful of shows. But as of late, Richard D. James has returned to his famous moniker with a new album entitled 'Syro', and it's made many an electronic music fan excited to see the master back. So does it live up to expectations? 'Syro' gets off to a very promising start with 'minipops 67 [120.2] (source field mix)' which feels like a throwback to Aphex Twin's first album 'Selected Ambient Works 85-92', but at the same time, it feels fresh with a minimal beat that flicks back and forth playfully, and plenty of subtle changes in direction to keep things interesting. There's even vocals on this song, which feels like a rare treat, modulated by a vocoder and becoming more organic towards the end. We then go into 'XMAS_EVET10  (thanaton3 mix)', beginning with warm extended synth tones before malfunctioning into erratic discord. The rest of this ten minute opus continues this combination of long dreamy notes and contrasting jerky rhythms. 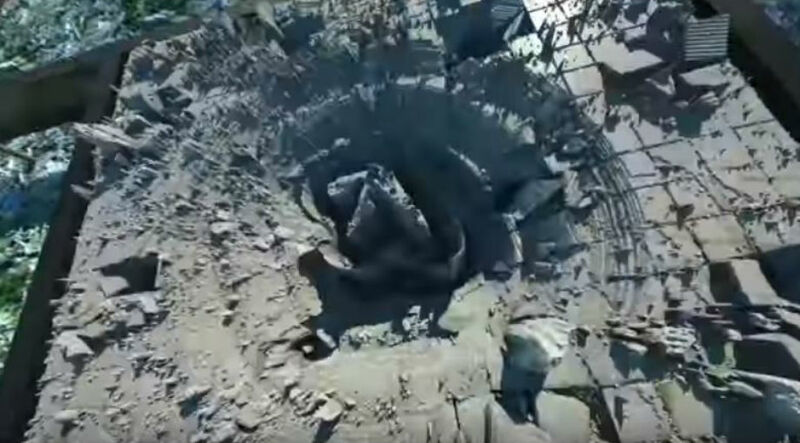 Roughly three quarters of the way through the song, things brighten up with technicolour notes and a sample of a child speaking, but the effect is soon cancelled out as it ends with a series of distorted blasts. It seems Aphex Twin still knows how to keep things unpredictable. '4 bit 9d api+e+6 [126.26]' brings a dance element to the album with head bobbing, drum machine clicking and some dazzling keys, though still with those avant-garde bleeps and bloops because, you know, this is Aphex Twin. '180db_ ' takes the dance factor even further with 4/4 beats and big, fuzzy synth blasts. It's possibly the closest Aphex Twin has ever come to making a straight forward dance song, however the shards of suspense at the hands of sharp background synths keep it from being too conventional. 'CIRCLONT6A [141.98] (syrobonkus mix)' maintains the energy of the album so far, but brings back some of the weirdness with flickering beats in odd time signatures and dizzying soundscapes, before an interruption of instense, breathtakingly sombre notes. Like 'XMAS_EVET10  (thanaton3 mix)', 'CIRCLONT14 [152.97] (shrymoming mix)' utilizes a mix of the calm and chaotic with slow, dark keys and doses of drum 'n' bass. The later disappearance of the lonely vibe cheers it up to no end; it's smart how the removal of a seemingly small element can transform it into something so different. Speaking of happy tunes, 'PAPAT4  (pineal mix)' features summery synth echoes like futuristic steel drums. The song's charm is enhanced by energetic percussion injecting yet more joy and life, making it one of the more danceable tunes on the album. It even feels worthy of being compared to something from 'Richard D. James Album', which is by far Aphex Twin's most melodic work. 'Syro' ends with the stunning 'aisatsana ', full of solemn piano and juxtposed from the rest of the album both sonically and emotionally. While there are moments on this album that can be called dark, this takes it up a level or two, forcing us to absorb the journey we've just been on. 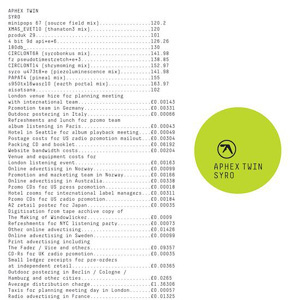 Overall, Aphex Twin has produced the same brilliance with 'Syro' as he has done with everything else he has ever released. While this comeback may not be as revolutionary as his previous works, it is still damn fine and as unpredictable as ever. The dancier songs makes 'Syro' stand out from the other albums, but at the same time still feels recognisably Aphex Twin. Here's hoping we don't have to wait another thirteen years for the next one.